The Macy’s Thanks For Sharing Program closed for the season on Dec. 31, 2018. Once all the earnings are adjusted for returns by the end of January 2019, and you will receive a Thanks For Sharing (TFS) Macy’s gift card sometime in February or March of 2019. The material below is archived for your reference. $10 of the one-time $25 enrollment fee, up to a total of $15,000,000, will be donated to non-profit organizations such as Make-A-Wish and the Go Red For Women. 10% rewards on almost all purchases made with an eligible Macy’s credit card from the enrollment date until Dec. 31, 2018, in the form of a Macy’s gift card. On select bonus days enrolled Macy’s shoppers receive 15% rewards instead of the standard 10%. When the dates become available mark them on your calendar to boost your gift card’s value. There is no limit on how much the gift card is worth: some people have earned Thanks For Sharing gift cards worth $400 or more. A TFS gift card has no expiration date. The $25 enrollment fee is a one-time charge that must be made with a Macy’s credit card. You can give the card to loved one as gift card for their own shopping spree. It can be used for purchases at any Macy’s store or online at macys.com. This card is NOT a coupon, so use it just like cash to buy any item of your choice at a Macy’s store or online. The first $3.4 million of the donation goes to the American Heart Association’s Go Red For Women® movement. The balance, up to an additional $11.6 million, will be donated to the following organizations. Your gift card will be mailed in February or March 2019 to the address on file for the account. If you move notify Macy’s of your new mailing address to make sure you get the TFS card. The Thanks For Sharing Program has some exclusions for items charged on the Macy’s credit card, although it does give a 10% rebate on EveryDay Value items which normally do not accept any Macy’s coupons. You cannot redeem the Thanks For Sharing gift card for cash or use it as a payment or credit on your Macy’s credit card account. The value of the rewards card applies to net purchases from enrollment until Dec. 31, 2018. Any prior eligible purchases returned on or before 1/7/2019 will have their share of the TFS purchase subtracted from the reward’s card final value. For example, if you bought a pair of jeans for $100 and then exchange them for a pair of jeans costing $200, your Thanks For Sharing gift card will be worth $10 ($20 – $10), not $20 (10% of your original $200 purchase). If you want you can withdraw from the program and request a refund of the enrollment fee by calling 888-933-6229, before December 15, 2018, or in person at any Macy’s store before December 31, 2018. Upon cancellation you will not receive the gift card. 2010 was my first year taking part in the thanks for sharing. when do I receive the rewards? I joined the Macy’s Thanks for Sharing Program in September 2010. I agreed to a charge of $25 on my American Express card for a donation to charity. My question is . . . if I paid $25 for this program, why is Macy’s only making a $10 donation to charity? What happened to the other $15 I gave Macy’s? is the $25 donation tax deductable? I made a donation to the Thanks for Sharing in September, 2010. 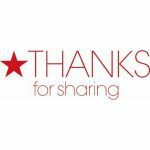 I just want to know if it’s possible to pick up the Thanks for Sharing Card (for the accumulated rewards that I’ve earned) from the nearest Macys store where I live or work, instead of mailing it to my home address, so I can be assured that I got it. Thank you for your immediate response. When the rewards be mailed for participating in the thanks for sharing program? I live in the Bedford, NH area. Some customers have already received their rewards card as of February 7, 2011. You should be getting yours in the mail any day now, or at the latest by next week. Thanks For Sharing rewards cards are not available for in-store pickup. You can only get it in the mail from Macys and it should arrive shortly, hopefully in time for a nice Valentine’s Day present for yourself. Although I am not an accountant, the Thanks For Sharing is not a tax-deductible item for the person paying the $25. Macy’s Corporation is the actual entity making the payment to the participating non-profit entities. Very good point Rita. The remaining $15 goes to administrative expenses such as keeping track of purchases, mailing the cards, and all the back-office work of dealing with the various charities. The average payout in the Thanks For Sharing program was $68, so the average Macy’s customer came out ahead about $43 ($68 – $25) per donation. Usually around Valentine’s Day of the following year, in this case the second or third week of February 2011. If I don’t get my Thanks for Sharing gift card in the mail is there a number to call to verify that it has been sent or to send a replacement? I have yet to recieve my card as of Feb. 15, 2011. I still have not gotten my Thanks for Sharing Reward card. When can I expect it? I thought there is an expiration date for the Thanks for Sharing reward card. Am I wrong? Prior to 2011 the Thanks For Sharing gift cards expired after six months, starting in 2011, there is no expiration date for them. You should be getting the TFS gift any day. The contact number for credit services is 1-877-493-9207, 9am to 9pm. Call credit services at 1-877-493-9207, 9am to 9pm, for further information on your specific issue. It’s physically impossible to send out that many cards all in one day: I don’t know where your particular location is their mailing order. Can I give the TFS card to my son to use ? TFS is treated the same as a Macy’s gift card. Just as you give a gift card to anyone you choose, you can do anything you want with your TFS card – it is your property anyway. No identification is required to use it. How is the actual value of the card determined? Do club and revolving purchases count or just revolving purchases? ON SEPTEMBER 2010 WAS THE FIRST TIME I TAKE PART IN THANK FOR SHARING , WHEN DO I RECEIVE MY REWARD? I enrolled in the TFS program Nov 2010, when should I expect my rewards? Only revolving purchases get the 10% rewards on purchases. The club accounts offer their own unique advantages and are considered as separate accounts. You should have received your TFS rewards card by March 15. If you have not gotten it, call Credit Customer Service at 1-877-493-9207, between the hours of 9AM – 9PM Monday – Saturday, 9AM – 9PM Eastern/Pacific and 11AM – 8PM Sunday. You should have received your TFS rewards card by March 15. If you have not gotten it yet, please call Credit Customer Service at 1-877-493-9207, between the hours of 9AM – 9PM Monday – Saturday, 9AM – 9PM Eastern/Pacific and 11AM – 8PM Sunday. If you have not gotten it yet, please call Credit Customer Service at 1-877-493-9207, between the hours of 9AM – 9PM Monday – Saturday, 9AM – 9PM Eastern/Pacific and 11AM – 8PM Sunday to find out what happened. Perhaps you will be issued a replacement card. I enrolled in Thanks for Sharing in 2009. Do have to re-enroll every year? Yes. The $25 fee entitles the Macy’s cardholder 10% rewards only for the season it was paid. It does not automatically rollover to the next year. Could u please explain how it works I donated $25 at a store and was told I am getting the $25 back + interest accumulated sometime in Feb 2012.Is that true? if so what is the interest rate ? I think I was told it’s 10% on each purchase for qualifying products. are their any other benefits like discounts or coupons? what are those benefits? Thanks For Sharing is the number 1 sponsor for the Make A Wish Foundation. The $25 investment will give you an additional 10% bonus on ALMOST EVERY PURCHASE made at Macy’s until December 31, 2011. Thanks For Sharing for is the ONLY program that gives shoppers a 20% coupon discount and 10% TFS bonus. The Gift Card will be a great Valentine’s Day present shopping spree. The greatest benefits are you will be helping people less fortunate than you and receiving a shopping spree in February: an average of $68 per $25 donation. I’ve known shoppers who have received $400 for their $25 investment. I received my TFS card, but when I applied it to my online shopping at macys.com, it said They do not recognize the promo code …. How do I use it? Yes, I just did the same thing and it wasn’t recognized as a promo code. I’m wondering the same thing- How do you use the Thanks for Sharing card for online purchases?? Thanks For Sharing(TFS) is a gift card, so you type in the number at the bottom of the bar code at checkout. TFS is really considered the same as cash at Macy’s. At checkout you can redeem the TFS exactly the same like Macy’s asks for a gift card number, including the 3 or 4 digit code. Just treat the TFS like a Macy’s gift card. I want to give my TFS card as a gift to my friend. I understand that TFS can be treated as a gift card, but I have seen at Macy’s that customers who were using TFS card have been asked for ID. So what my friend has to do if she will be asked for ID when using TFS card? Do I need to inform Macy’s to whom I want to give my TFS card? If so, how to do it? I don’t understand why if TFS works the same way as the gift card, then why customers are asked for ID? It is misleading for you to suggest the $25 fee is tax deductible by the customer. In the first place, only $10 goes to the charity. In the second place, Macy’s does the charitable donation, so the corporation gets the tax deduction, not the customers. Finally, “thanks4sharing” is NOT a charity registered with the IRS. I stand corrected and changed the original reply. Macy’s defines the $25 as an “enrollment fee,” not a tax-deductible contribution. Also the maximum amount allotted to the non-profit organizations is $15,000,000. Remember also a non-profit organization is NOT identical to a charity, for a reference see DifferenceBetween. In sum, TFS is a program run by Macy’s, which serves to give the participant’s a 10% rebate in form of a gift card, with some of the proceeds of the enrollment fee going to non-profit organizations. What kind of purchase is NOT included on thanks for sharing? Perfumes, everyday value stuff is eligible? Thanks! NON-eligible items generally fall into five major groups of big-ticket items, selected departments, services, special orders and cash-equivalents like gift cards. The very good news is that every-day values, special values, perfumes, cosmetics receive the 10% credit towards the Thanks For Sharing gift card. Ask the associate first to confirm the purchases are eligible and check your receipt to make sure the TFS bonus was added. Call 1.888.933.6229 for the official word from Macy’s. “You’ll be happy to know you can use your Thanks For Sharing Rewards Card on any merchandise at Macy’s and macys.com.” This is written in the letter I received with my TFS card. FALSE ADVERTISEMENT!!! Went to use it for a chair I ordered. While the person who took my order deducted it, the email info did not. What is going on? I have written, been on the phone. Is anyone out there? Info received with TFS card states it can be used “on ANY merchandise”. Went to use it when buying a chair. Nope. FALSE ADVERTISING!!! Shame on Macy ‘s. As detailed in the Thanks For Sharing post furniture is excluded from transactions with the TFS program. When will we receive our gift cards from the 2015 Thanks for sharing program? During this or next week. They are sent out the first couple of weeks of February. I live in Deptford N.J. When should I get my Thanks for sharing reward card. My daughter lives a half hour from me in Woolwich and she got hers 3days ago. al alot of mistakes have been made in our maill delivery lately and Im worried someone else might have gotten it. They should really be coded so no one but the person who earned them could use them. a reply would be appreciated. Very good suggestion about the code. Call 1-800-289-6229 to see if customer service can find out the present balance on the card. It should be the same as on last purchase receipt from Macy’s. The rewards card could be sent out by order of account number, name, towns, or other keys. You can call today or wait a little longer, but rather be safe than sorry if you feel you should have it by now. I think it is deplorable that Macy’s salespeople lie when they ask customers to enroll in the Thanks4sharing program. The management trains the salespeople, so the management obviously instructs their employees to misrepresent this program. I was told the $25 enrollment fee was tax deductible on my taxes. I was told my purchase that day would receive 10% off. Not that I had to make further purchases to receive a benefit. This is really deceptive; then state attorney general should look into this.